·Location: Bees prefer sunny spots in the garden with a little shade – they love to wear their sunglasses. They also like some shelter from strong winds – otherwise, it’s a bumpy landing! Have you seen a bee in your garden recently? You may not have done as the number of wild british bee has been dropping. Bee's are an important role in boosting the economy due to their contribution to the food industry, agriculture and associated trade. A lot of research has been made with this worrying issue thanks to the commission of Disney's The Hive Toys in association with the bee charity Adopt-a-Hive . A poll of British families has revealed that one in five (20%) children under 10 have never seen a wild bee. It showed that 20 per cent of the 2000 UK parents surveyed are unaware of any drop in British wild bee numbers, despite well documented coverage on the issue. Despite the catastrophic forecast predicted for both the environment and economy, nearly one in five (19%) parents admit they would find summertime more enjoyable without bees, with sixteen per cent admitting they find bees a massive inconvenience – three per cent even admitted they think bees eat honey and a further two per cent associate bees with noise pollution! This worrying indifference was further highlighted with almost half (46%) of parents unaware that the decline in bee numbers will have an adverse effect on the economy*. There is a ongoing campaign to help raise awareness to families on how to save our bees. The Hive Toys will be offering lots of prizes for families over on www.thehiveadopt.co.uk. 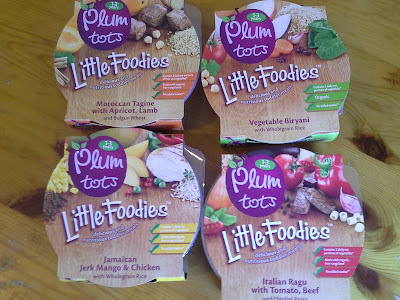 Plum make fantastic baby food and now they have brought out a new range for toddlers called Little Foodies. They are full of exciting new flavours that are nutritious and are suitable for 1-3 year olds. They come in an attractive and convenient packaging which can be used on your travels. Caribbean Jerk Mango & Chicken with Wholegrain Rice is a delicious blend of lightly spiced organic chicken with bits of juicy mango, a touch of coconut and nutty-tasting wholegrain rice for extra nutrition and a bit of fibre. A wonderful way to introduce little ones to the delights of island cuisine! Moroccan Lamb Tagine with Apricots & Bulgur Wheat is a perfect hearty meal for a hungry toddler. It’s a scrumptious stew that combines our award-winning organic Welsh lamb with sweet apricots, chickpeas and a touch of mild North African spice – so delicious that they’ll never suspect it contains three portions of veg! Neapolitan Tomato & Beef Ragu with Ditalini Pasta is our twist on an Italian classic (minus the salt and sugar that sneakily hide in most pasta sauces!) Our slow-cooked ragu incorporates a whopping eight different kinds of veg, and we’ve left the tiny pasta tubes whole to provide a bit of a chewing challenge. Vegetable Biryani with Wholegrain Rice is perfect for young vegetarians – a moreish mixture of spinach, tomatoes, onions, raisins and chickpeas, flavoured with coconut and mild Indian spices. It also contains 3 of your toddler’s 5-a-day, which is handy if the rest of the day has been a wash nutrition-wise! 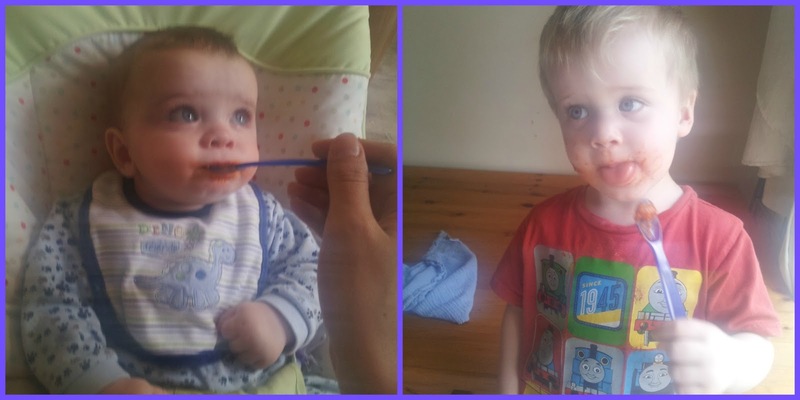 Annabelle and Callum have turned into fussy eaters the last few months, meals they used to eat they turn their noses up and the trouble is if one says 'yuk' the other one does also. I was unsure whether they would even touch the food. 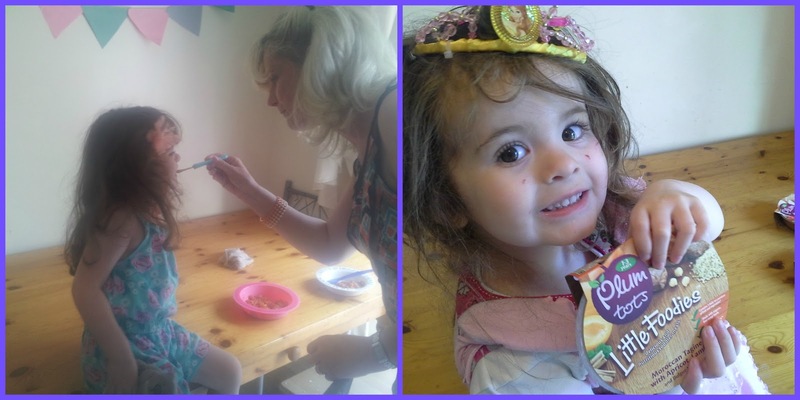 Annabelle is 4 but shes a good enough tester and like most parents its easy to give all the children the same meals as its convenient and cheaper. Callum is 2 so in the age range that the product is intended for. Joseph also tried the meals. As you can see from the above photos they tried the meals however like most new things they didn't eat it all. They enjoyed the Neapolitan Tomato & Beef Ragu with Ditalini Pasta the most probably as its a known meal as I admit they have not tried the other meals before. Out of all 3 children I have to say Joseph aged 6 months preferred the meals as he finished his bowl. Annabelle and Callum are used to meals that are not cut up so small like these meals. As you can see its very much in my opinion like baby food where the ingredients are all mixed together. 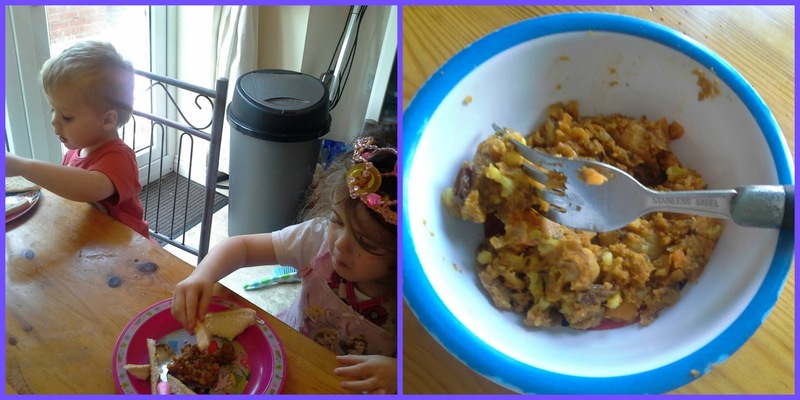 My children do prefer there food separated and in whole pieces. This obviously was the reason they were not keen. If you're child is used to the type of texture then do try them as they are great. If you are like me you may not have chance to cook more adventurous meals so great for your child to explore. Also to prepare all you have to do is pop the package in the microwave for approximately 1 minute. It does say 30 seconds but it was still a bit cold. Its a product to try but like everything linked to children, every child's tastes are different. Do check out Plums website, facebook and twitter. As a mum you are on the go from the moment you wake up to the moment the children are asleep. Trying to fit a cup of tea into the day is hard enough. I have come across some great advice and tips about the everyday things we do. Cooking, cleaning and making your house look pretty and I would like to share them with you. A great tip for cleaning the microwave is easy and most importantly Eco-friendly. You will need a lemon. All you have to do is half one or two lemons then squeeze the juice into a microwavable bowl, pop the bowl into the microwave and cook for 4 minutes. Then leave the door closed for 10 minutes extra to let the lemon steam do its magic. Next wipe the microwave and you have a lovely clean appliance. If you are like me you will love nice smells around your house its the only good bit about cleaning although my other half thinks I love it all. When I hoovered my Grandmas dining room a few months ago I kept getting a lovely smell and thought ' it can't be the hoover' well it was! You can buy vacuum refreshers in supermarkets and online or if you want to do it yourself add a few drops off essential oil to a couple of cotton ball and place in your hoover and that would last a week or two. I am not sure how my grandma was able to have a different homemade meal on the table at 5:30 everyday from when she first lived with my Grandad until now. Especially when she had 3 young children. I have to admit fish fingers and tinned spaghetti is used regular at my house. However when I do cook homemade it has to be quick and easy as cooking is like I am on a cooking show racing a timer. However in my case its unknown when the time runs out! I always use frozen vegetables as they don't get wasted unlike fresh and they don't taste much different. Another tip I would recommend is use a slow cooker as they are ideal for many families. In the morning place all ingredients in and heat. 6 - 8 hours later you have a meal ready and smelling great. I can't wait to start doing little interior design projects for my home. I absolutely love homemade items in homes. You can jazz up every room with little things such as making bunting out of material. My mum actually made a crocheted bunting for Annabelles room. Your home has to be a relaxing atmosphere and lighting plays a huge part so choosing the correct bulb is important. I prefer a small watt that is energy efficient of course. 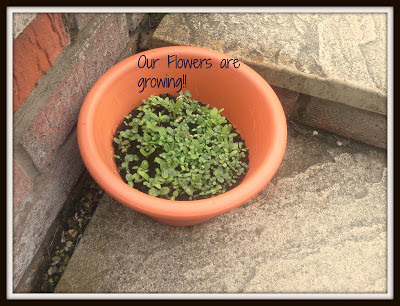 This post is an entry for BritMums #KidsGrowWild Challenge. Britmums teamed up with Moneysupermarket.com site to bring flowers to life with the help from little pals. 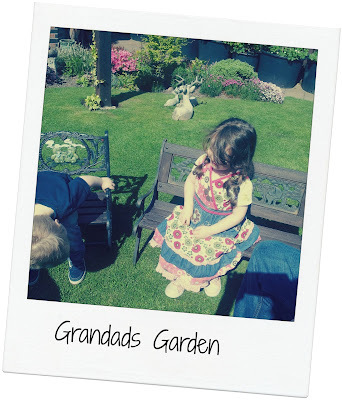 When I was a child remember my dad was always in the garden digging up the soil, planting flowers and most of all enjoying his garden with a cup of tea, listening to the birds and in my memory the sunny weather. I have to admit I have not gained his gardening gene, probably down to the fact I hate bugs, I know very silly. He blames my mum for my fears, poor mum! However if I wear a pair of gardening gloves I am safe from the creepy crawlies! I loved (and still love) watching my flowers grow from seeds, waiting to see which colours will appear. I remember bringing a cutting off the flower sweet william from a school trip and have never forgotten. I think Gardening is so important for children to learn about plants, flowers and nature. 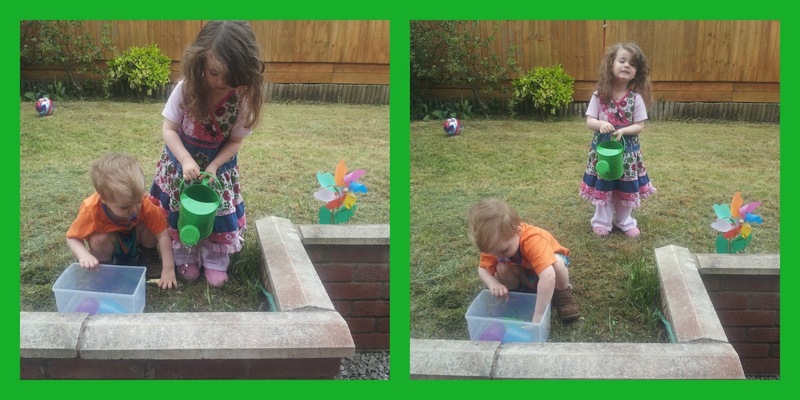 We were kindly send a gardening kit and seeds from little pals to get into the gardening spirit! The kit consisted of a child's pair of gardening gloves and some metal gardening tools so the children can get stuck in. We went to the local shop and bought some pots for some of the seeds to go. In fact I am painting them so this task gave me some inspiration. Annabelle and Callum enjoyed planting the seeds in the compost and checking the growth each day. Children are very curious and love doing things all the time such as playing in dirt! What I love is that the children will learn to care for something in time and respect nature as recently the flower at the end of the garden has been plucked. They are also learning about the cycle of plant life. The positive of the rain is that the children have understood that their flowers need water and have enjoyed exploring. 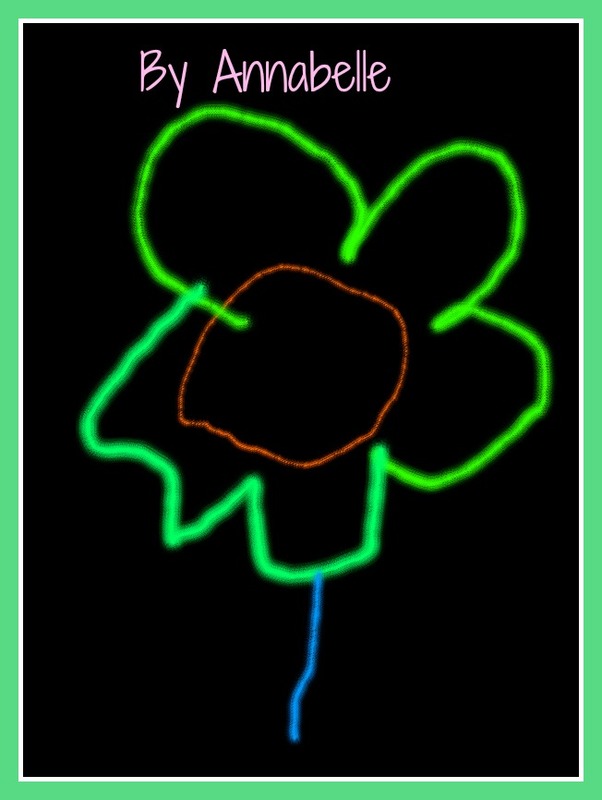 Annabelle must have enjoyed herself as she drew this perfect flower on the tablet, proud mummy here !! Do you find it hard to fall asleep at night?